Everyone that came to the Troop 35 meeting tonight did a wonderful job at their stations and you came prepared. The Webelos from Pack 335, 63, 52 and Pack 365 had a great time and we really put our best foot forward. As a troop, we worked together to make a great impression. Also, a shout out to Brandon who lost a tooth! Remember, our next meeting will be pumpkin carving on October 25th at 7:00 PM. The Webelos were invited to attend our next meeting for pumpkin carving. Pumpkins will be provided, but scouts will need to bring everything else – knives and carving tools. 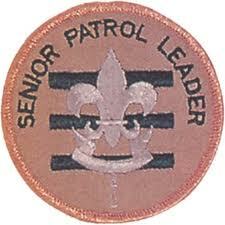 This entry was posted in Leadership, Recruiting and tagged scout recuiting, senior patrol leader, Webelos. Bookmark the permalink.